The Capaldi Conundrum; or “what we need from the new Doctor.” | Warped Factor - Words in the Key of Geek. Any article written on the subject of what any entity, whether it's a fan, fandom, or franchise needs, is subject not to facts, but to the natural biases. When a writer says “this is what the show needs,” what that writer is actually saying is “this is what I want to see, me personally, in the new actor. This is what I want from my show.” The problem with this mindset is that what people need from their show, especially a show like Doctor Who, is going to be different for everyone. Some want a “young, hot Doctor.” Some want a female and/or POC in the role. Some want dignity, some want bouncy and lighthearted. The point is, the Ideal Doctor is different for everyone and therefore probably does not exist. So here's my list of what the fandom needs in the next Doctor...sorry. Look at me there, getting caught in my own trap. I'll rephrase that: here is what I would like to personally see in the next Doctor. 1) Someone who can play the role. Male, female, White, POC. I don't personally care. I would prefer to see a male in the role, for my own reasons which are an entire article in and of themselves. But if the casting team finds the exact, perfect person who can play the role without the character and plots needing to change to accommodate them, and that person happens to be female and/or POC, more power to them and good luck. They'll need it. 2) Someone who loves the show and the fans. Let's be honest. Love or hate his Doctor, we have been spoiled by having Capaldi in the TARDIS. His level of dedication to the show and especially to the fans was a dedication not seen from many others. He routinely surprised fans at the Doctor Who Experience during his lunch hours or days off, simply because he could and because he cares about his fans. He has publicly supported multiple charities and taken part in multiple events WHILE he is still playing the Doctor. He cares about his fans. He cares about the show. Whoever takes his place will need the fans' support, and will need to be an ambassador for the series more than ever. All things considered, The Doctor has become more than the person who plays him. He is more than one person's preferences or opinions. We need more from our Doctor than just looks or personality. We need someone who is with the fans, on screen and off. Male, female, White, POC, something in between, I'm not concerned about that. Don't give me the Doctor we think we need. 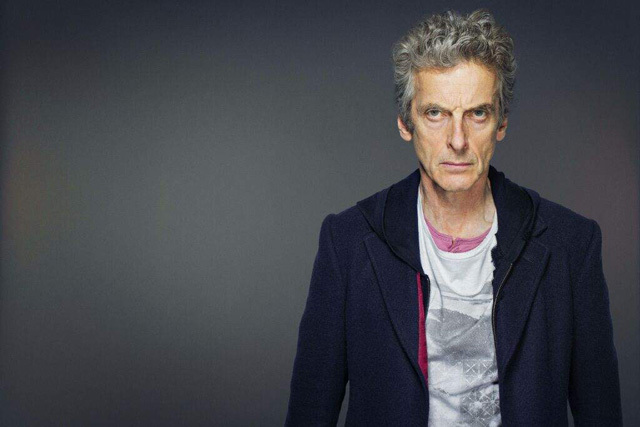 Give me the Doctor that the fans, the series, and Capaldi deserve.